1. Select Inspection from the Menu. 2. Select See Past Inspection. 3. 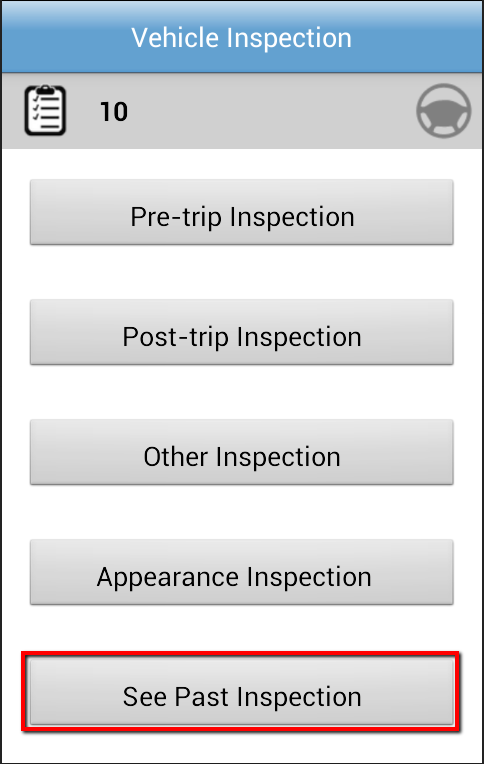 Select the Inspection you would like to view. 4. 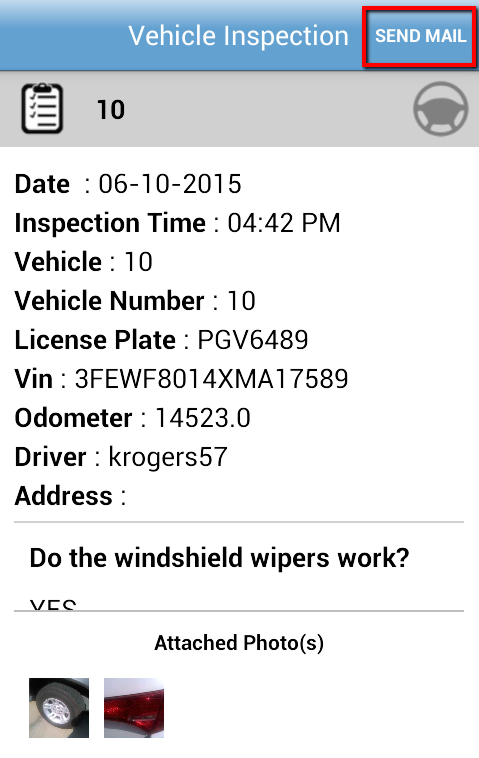 The inspection includes all of the vehicle information, the username of the driver that completed the inspection, and any attached photos. 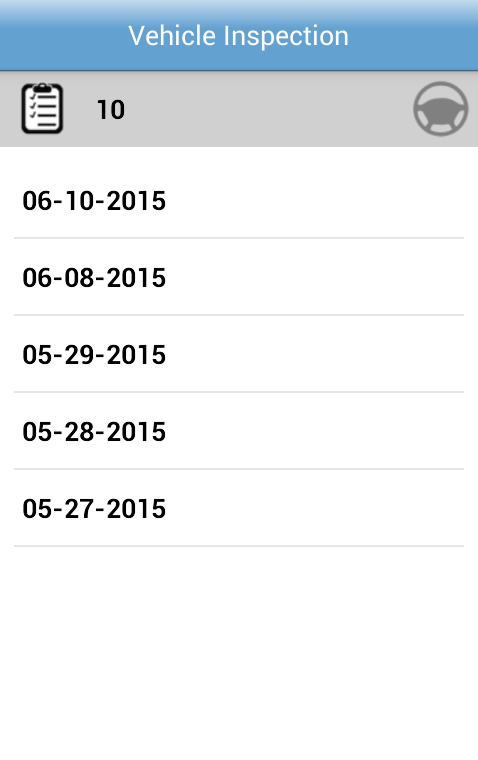 You can also email the inspection to any email address by selecting Send Mail. 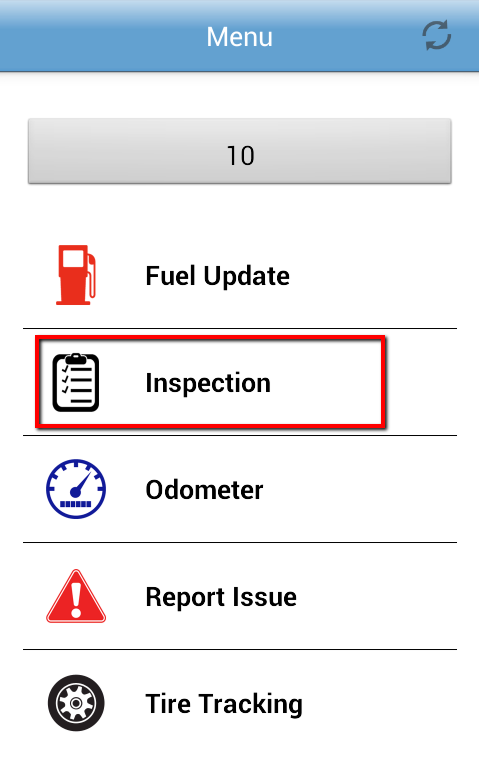 Recommendation: Make your company's policy on mobile device usage while driving part of your daily vehicle inspections.